I’m back from a road trip and ready to rock! 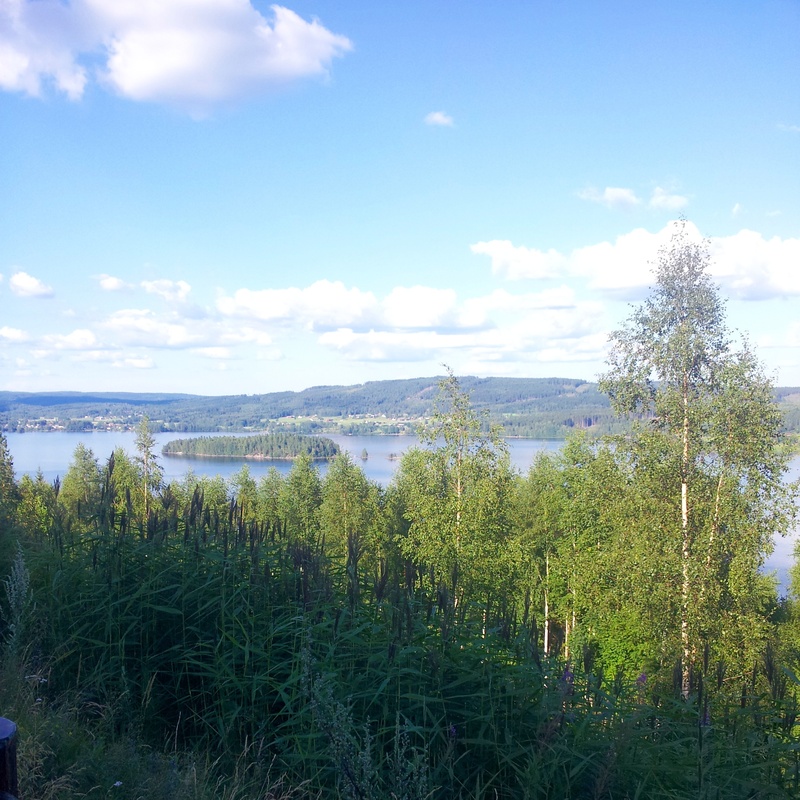 I disappeared for a few weeks to go on a road trip around Sweden. I meant to tell you before that I would be off for a while, and I also meant to schedule some blog posts to go up. But the blog posts remain unfinished (mostly finished though, so expect them soon), and I never told you all I was going anywhere until it was too late. So sorry about that. Anyway, I’ve taken a lot of photos and anybody who follows me on Instagram or Twitter will have noticed me attempting to weave some sort of narrative of my journey to Stockholm, up to the High Coast, across Norrland and back down to my home in Halmstad. Truth be told though, I only put up a tiny snippet of my journey, and a lot of the places I visited have a lot more stories and pictures that I decided to cover in more detail on my blog. So basically what I’m saying is I have probably between eight and ten blog posts to write purely on my roadtrip, all of which will be equal parts words and pictures. Even if you follow me on Instagram, I’ll be sharing different pictures and some places I didn’t even show on there at all. I promise. I also have a blog hop post coming up very soon, as well as some book reviews and music reviews, so watch this space because the next month or two there will be a lot happening. 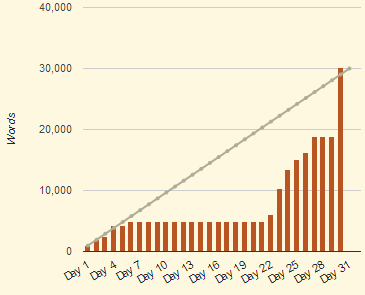 Oh, and also despite being most of the month behind schedule, yes I am still trying to beat Camp NaNoWriMo. Because why not? Anyway, for now, here’s a nice picture I took (from my Insta, I’ll admit) which sums up Sweden pretty well – trees and lakes! This morning, three minutes before midday on April 29, I managed to edge over the 30 000 word goal I set myself for my short stories project in Camp NaNoWriMo and have therefore been declared a winner! In the end, I wrote six short stories, three of which I am quite happy with, three of which need quite a bit of work. But I have rediscovered the joy of writing short stories after several years of writing novels in the main NaNoWriMo event in November, so it has been a nice month in that respect! I have learnt a lot in my journey, but then I kind of talked about that enough in my post last week, which you should read by clicking here. So now I shall charge onward to finish NaPoWriMo, the event where I’m writing 30 poems this month as well – I am about nine poems behind there so I have a bit of work to do. I hope everybody else who has participated in either of these events this month has had as much fun as I have, and has managed to meet their goals or at least reignite their passion for writing (which is ultimately the purpose of such writing challenges, I feel). Over the next month I’m going to use this energy to start etching out a lot more blog posts, too, so stay tuned! When I started Camp NaNoWriMo on the first of this month, I had no idea what I was going to write about. I came up with a weird and fanciful idea of writing stories about animals trying to revolt (but subtly revolt) against the humans in their respective worlds. I wanted to make the stories funny, but in a classy way – a bit like the Jeeves and Wooster series of P. G. Wodehouse (and let’s be honest, everything he ever wrote). And so this little collection I’m now working on was born. When writing short stories, keep it simple. This means keeping the characters to a reasonable amount. My second story involved 7 or 8 characters plus a bunch of “bad guys”, and all the characters were too strong in personality and fighting for attention. Maybe this story would have worked later, but each of these characters need to be introduced in their own individual stories first. This one was just overkill. If you’re trying to write funny short stories, make sure you develop your characters properly. My best stories so far are the first and last ones, because I had ridiculously quirky characters driving them forwards. It is often the flaw of the character that makes them funny, not the things they do well. If a story feels like it’s dragging on too long, that’s most likely because it’s dragging on too long. If you’re bored with your own story during the first draft, your reader is probably going to be as well. You’re allowed to be bored when you’ve edited it a bazillion times, but the first draft should be the fun part. So if it’s dragging on, cut some parts out or just pause it and come back to it later with a fresh mind (I did that with one of my stories). You’re going to get ups and downs when writing several short stories. So follow my advice from the last point – change scenery and start a new story if the current one is annoying you – you can always come back. And don’t be afraid to take a break from writing completely for a day here and there – often you’ll bounce back refreshed for it. Of course, don’t let this turn into several days (unless you’re like me and work better under pressure). Drink enough coffee. By enough I mean some but not too much. Might sound obvious, but I find 2-3 coffees in the morning before I write gets me perked nicely to focus for a couple of hours if need be. Less than 2 and I’m too sleepy and daydreamy, more than 3 and I get hyped up and go for random jogs to the shops to buy chocolate to further my sugar high to…yeah anyway. Point is, you know how much coffee you drink on average – regulate it around your writing schedule to help you focus at your best when you do write! (And if you don’t drink coffee, do the same with tea. If you don’t drink tea…erm…water? Actually, you know, water does help you to concentrate? Anyway, I meant to stop this point 3 lines ago). I hope all of you attempting Camp NaNoWriMo are managing to keep up and write some cool stories (or whatever you are writing, remembering it’s a bit more flexible than the regular NaNoWriMo). And if you are behind, don’t panic – there’s still a full week left! If there’s even the slightest chance you can finish on time, I say go for it – you might be surprised what the pressure can help you produce!